Ruth Treks The Great Wall of China! 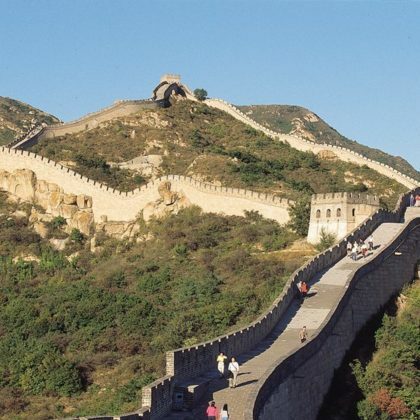 As you all know I like a challenge, well this September I am doing a 7 day trek across the Great Wall of China. I will be joining Leanne Brown's group to try and take on the trek in aid of raising money for her founding charity - One Woman At A Time. A charity that is doing amazing work in the UK, India and Africa with women, in particular girls and women who are at risk of forced marriage, Female Genital Mutilation and domestic abuse. ​ They aim to listen to women, hear what they need in terms of educational, emotional and financial support and offer opportunities to create choices. ​ In partnership with local NGOs we focus on helping and offering women and girls grants and bursaries to go to school, university, nursing college and on vocational training courses. Please Please dig deep and help me raise as much as I can for such an amazing charity! 100 percent goes to the charity using Givey! Thank you for visiting our Givey page. When you make your donation through Givey, the Charity receives 100% of the donation. Your details are safe with Givey and donating is completely secure. Whatsmore, they never share your email address with any third parties except the Charity you donate to.